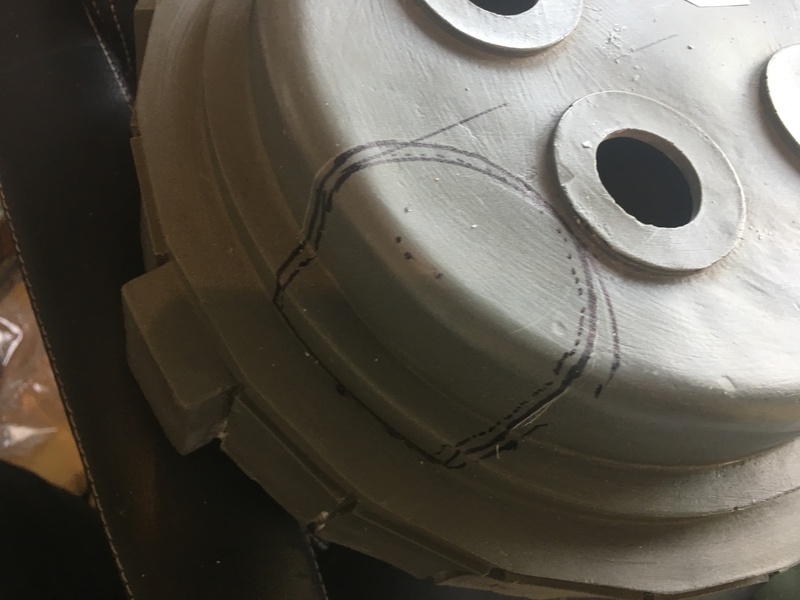 Earlier, I had marked where the round N-filter would go on my proton pack. My first thought was to cut open the Fiberglass shell and insert the N-Filter inside, but for some reason, I decided to go down another path. 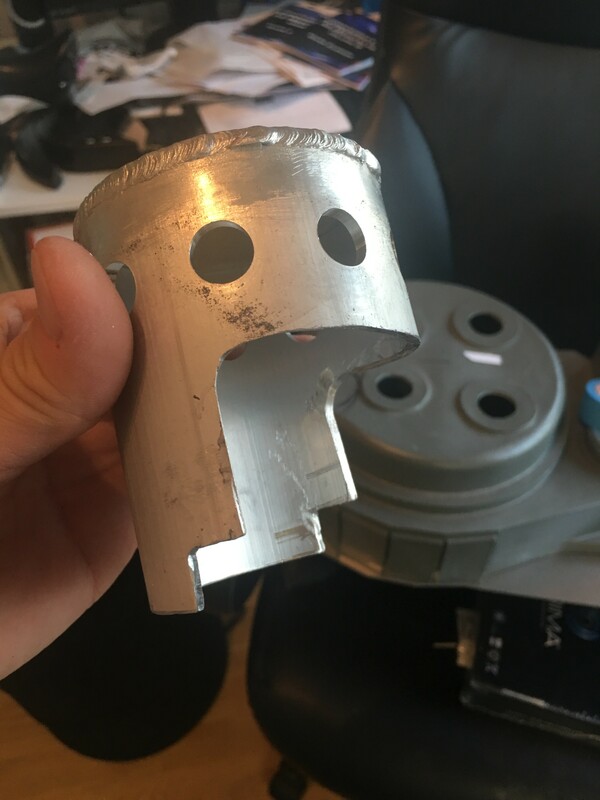 My thick, aluminium N-filter had to be ut to match the profile of my proton pack! 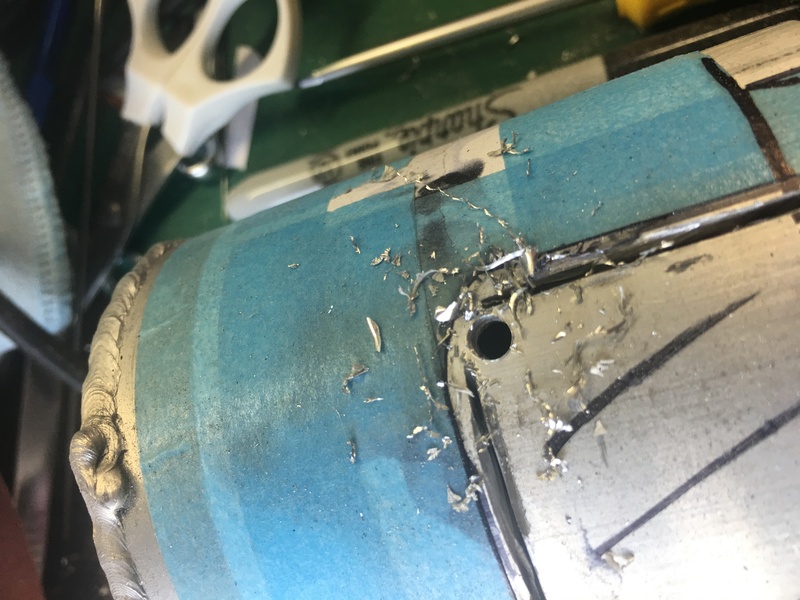 This is definitely a scary prospect as I don’t have a proper metal workshop, and a failed result would be harder to patch up. Never the less, time to get cutting. 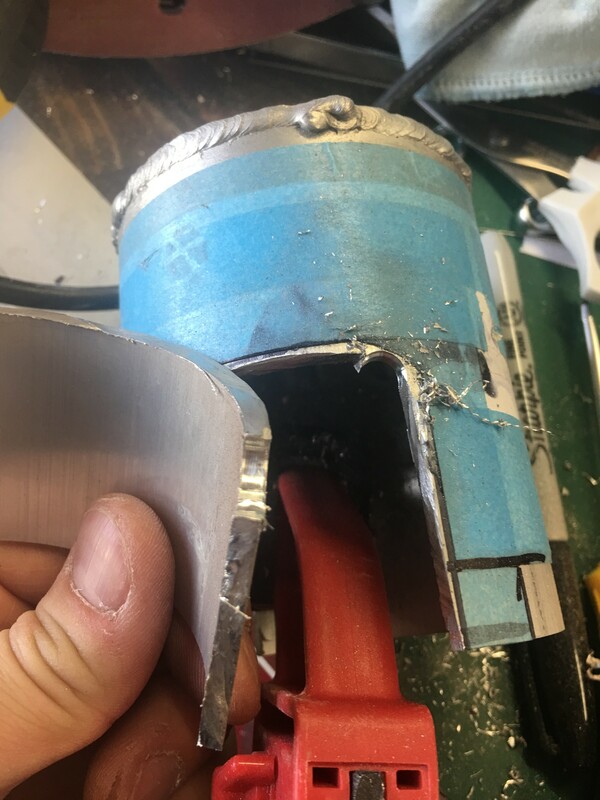 I started by making a paper profile by wrapping around the N-Filter and slid it off and cut where I had to cut the metal. 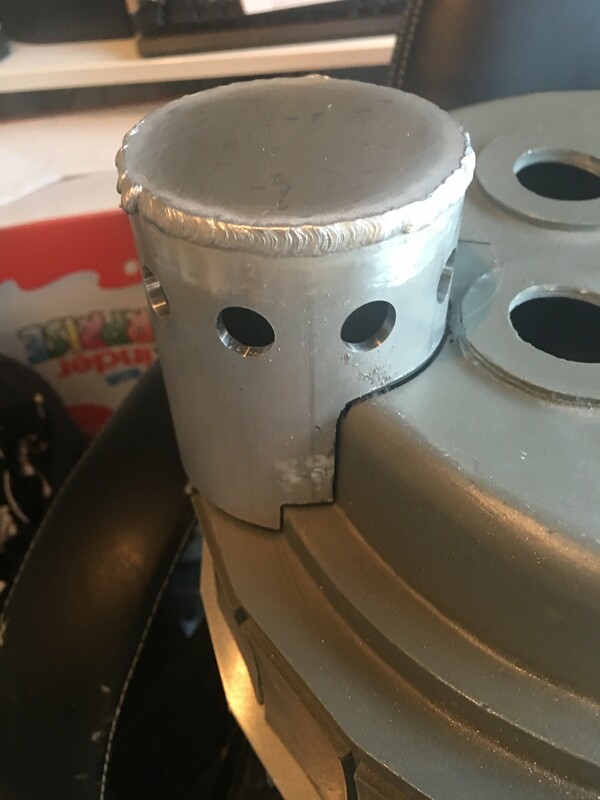 Once I was happy with a good starting point, I taped this down firmly onto the N-Filter and made a few futile attempts to cut the thick metal with a small metal blade. I quickly decided that using my dremel was the way to go! 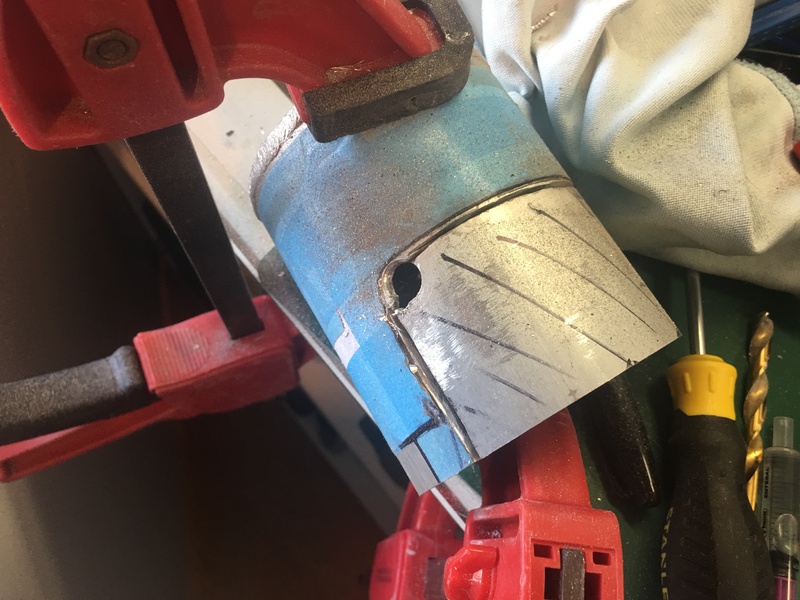 The corners were done by drilling down with a step drill until I got close enough, and then filing down with a sharp file until I reached my cut outs. I cut sparingly, making sure I had plenty of material left that needed filing and sanding down to make a perfect fit. 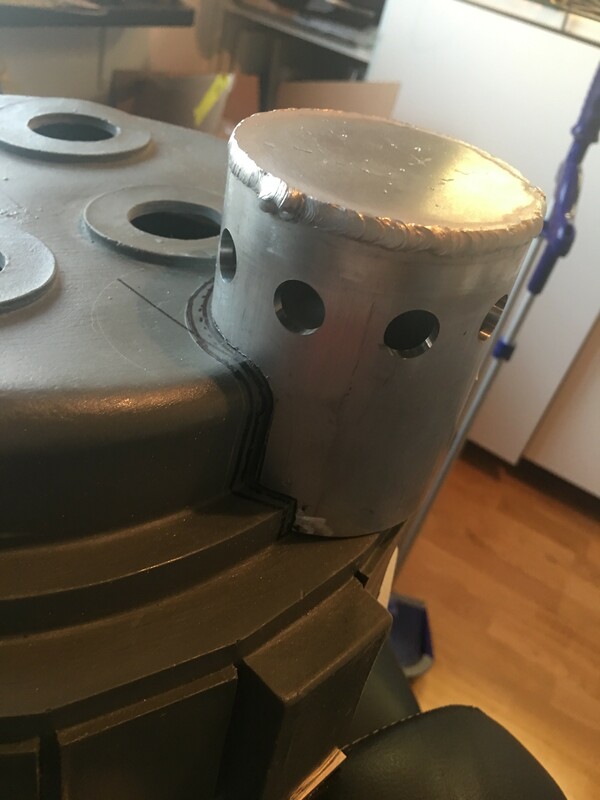 The more alert eyes see that the cut-out is not perfectly straight, but that was the result of test fitting, as the fiber glass proton pack is not 100% straight at times. The last step is of course to paint this and insert the mesh inside and finally bondo it to the fiberblass surface. 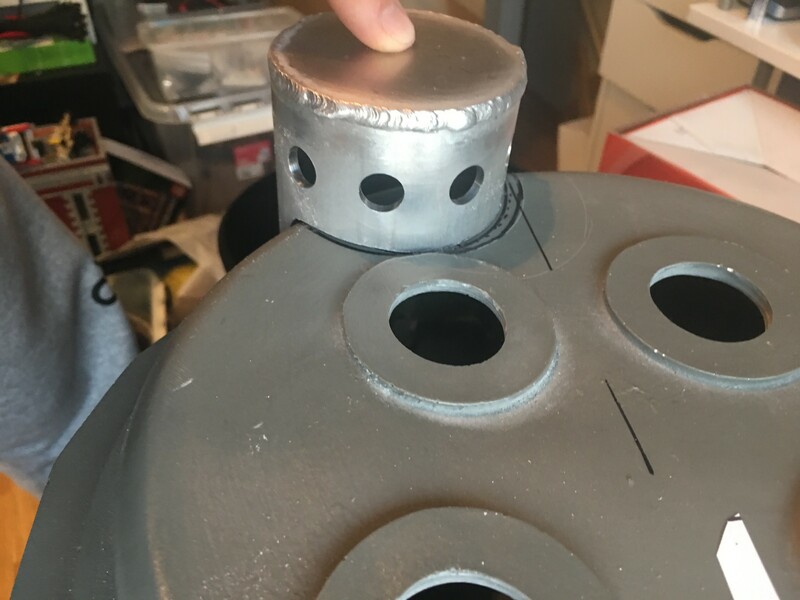 I will need to drill a hole in the fiberglass shell where this sits at some point, in order to add smoke coming out of the filter, but that is another exercise for another day.